trust Mechanical Temp LLC to bring your heating system back to working order. More times than not, heating problems arise when you least expect them, affecting your patrons, employees, and even equipment. With that being said, being proactive and having an experienced HVAC/R partner on your side is the best line of defense! Since 2008, Mechanical Temp in Livonia has provided high-quality service and is the best choice for getting commercial heating repairs, maintenance, and installations done quickly and efficiently. Our technicians are available 24/7 and are readily available to provide service whenever you need them. Our expert mechanics can quickly get to the bottom of your building’s heating problems and make a reliable repair. When your heat stops working, there’s no time to waste. By partnering with Mechanical Temp, you’re guaranteed service when your furnace needs it the most. Heating systems are complicated, so it takes the knowledge of an experienced commercial heating professional to get to the root of the problem as quickly as possible. Our trained technicians have been servicing companies’ furnaces of all sizes for over a decade and can solve your building’s heating problems at a moment’s notice. We provide same-day service, which reduces the downtime of your business’s operations. To prevent a heating emergency at your business or factory, it’s critical to perform regular maintenance checks on the heating unit. By having regular maintenance performed on your heating system, you’re being proactive about the condition of your building. Our services allow for efficient heating year-round, reduced equipment breakdowns, and lower energy costs. We offer a seasonal program that provides routine maintenance checks on your furnace to prevent problems from occurring in the future. Upgrade or install a new furnace to set your building up for success. Mechanical Temp is an Authorized Bryant Dealer, which means we install the best machines in the business. Our team evaluates the size of your building and your heating needs before advising on your furnace options. 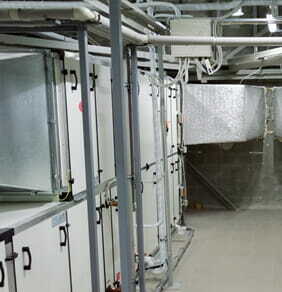 From there, we’ll install your building’s new furnace seamlessly, all while eliminating as much downtime as possible. We understand the importance of keeping your business afloat during heating system work, especially when the temperatures drop outside. It’s time to request a new HVAC/R solution. 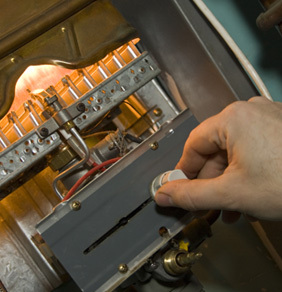 Contact Mechanical Temp today for heating system repairs, maintenance, and installations! Need to Update or Replace Your Equipment? Fill out the information below and we will contact you shortly to discuss your company’s HVAC/R needs. Whenever Your Building Needs It. workmanship, and quick response times that your business can count on time and time again. The contents of this webpage are Copyright © 2019 Mechanical Temp LLC. All Rights Reserved.